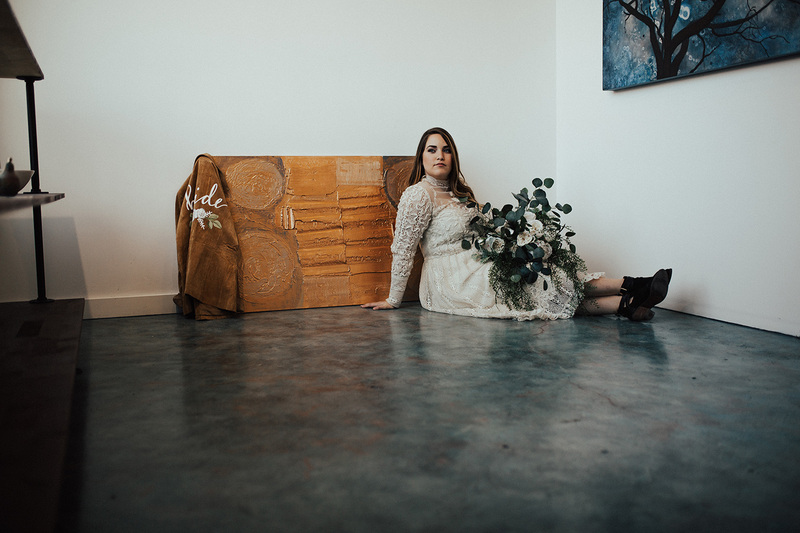 My number one place for sessions is out in nature but every now and again I think to myself, damn, there are some amazing urban locations I need to be shooting at. 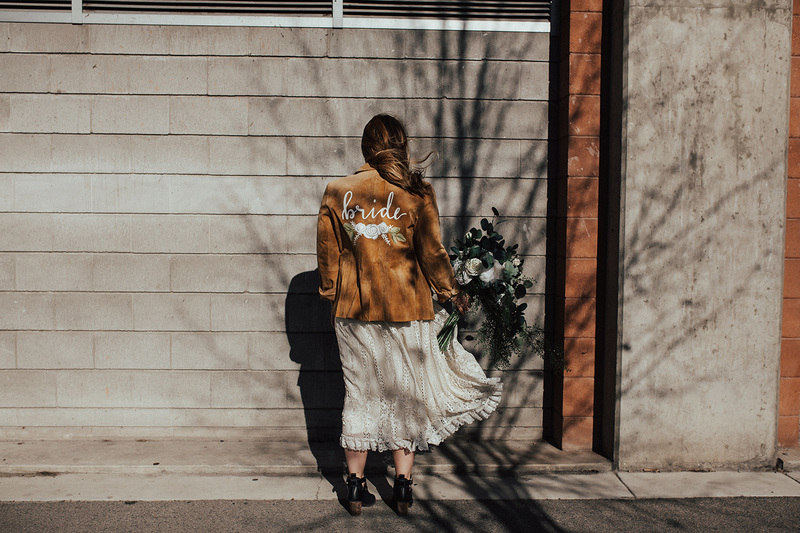 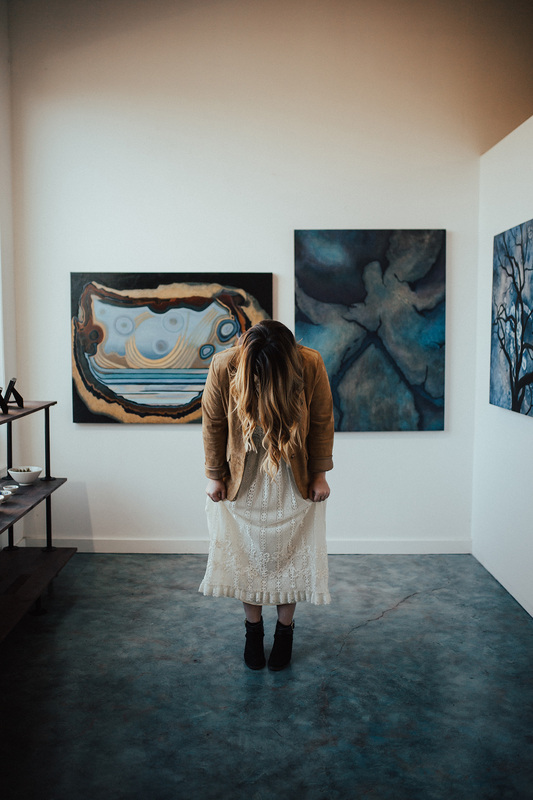 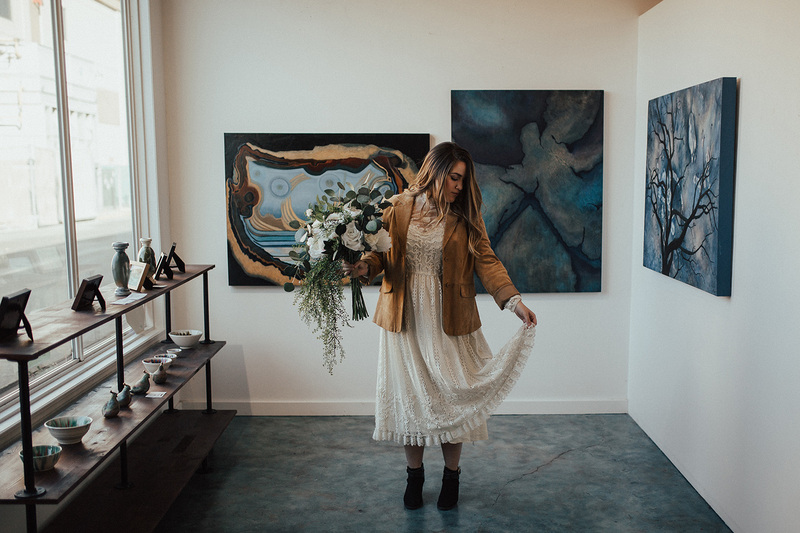 When I saw this quaint little art gallery in Kelowna and knew I had to shoot some bridals in there! 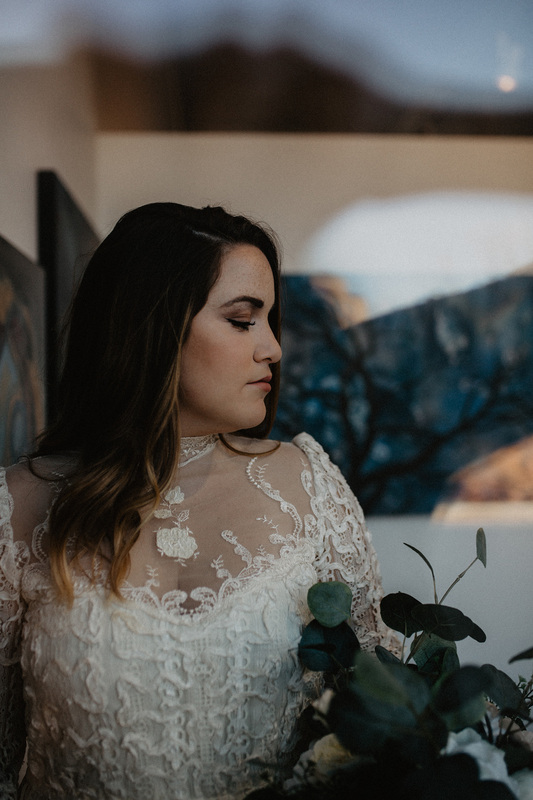 I got together with Alex from Okanagan Hair and Makeup and we made it happen! 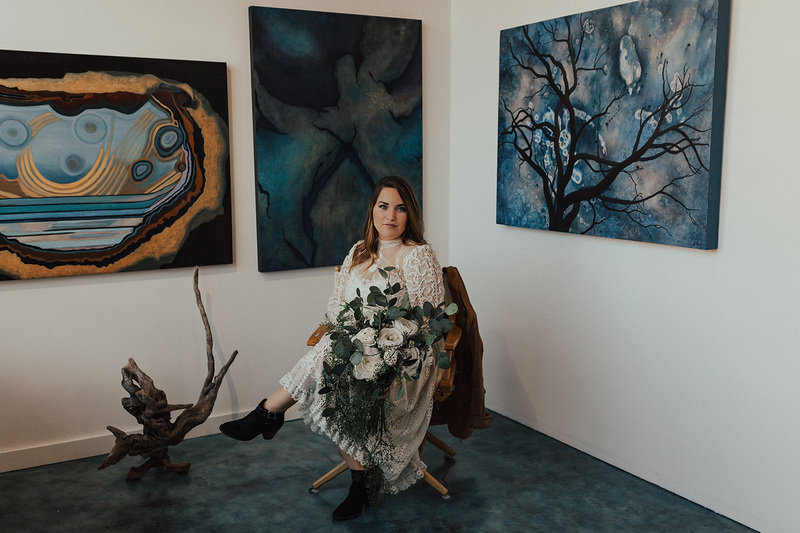 I love how the textures, colours and florals all come together to bring the natural vibes into the urban art gallery space. 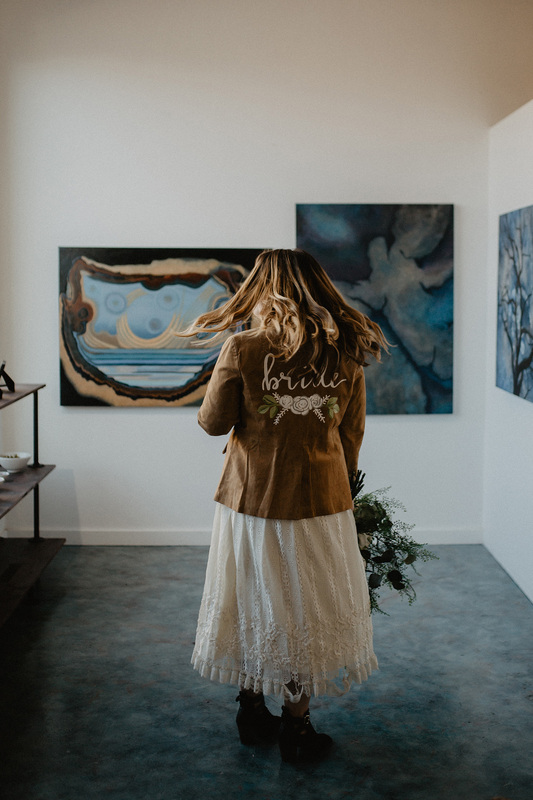 Vibrant Art Gallery featuring art by Beverly Rein and Jules . 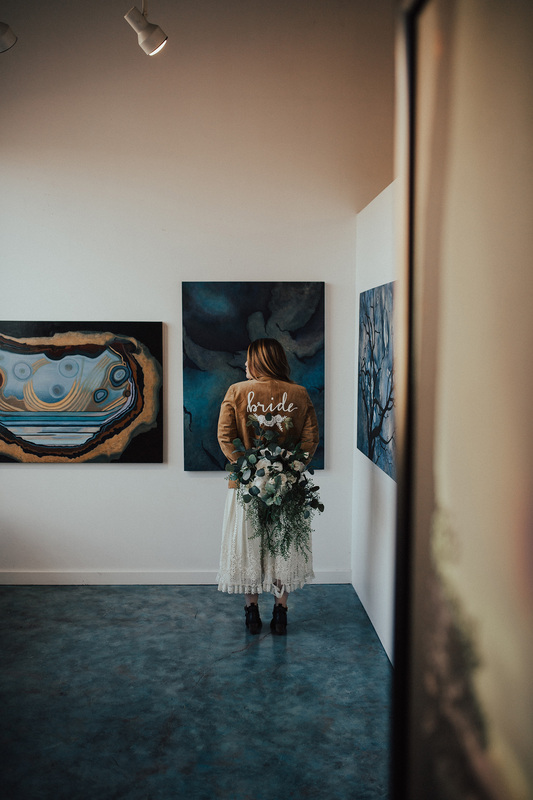 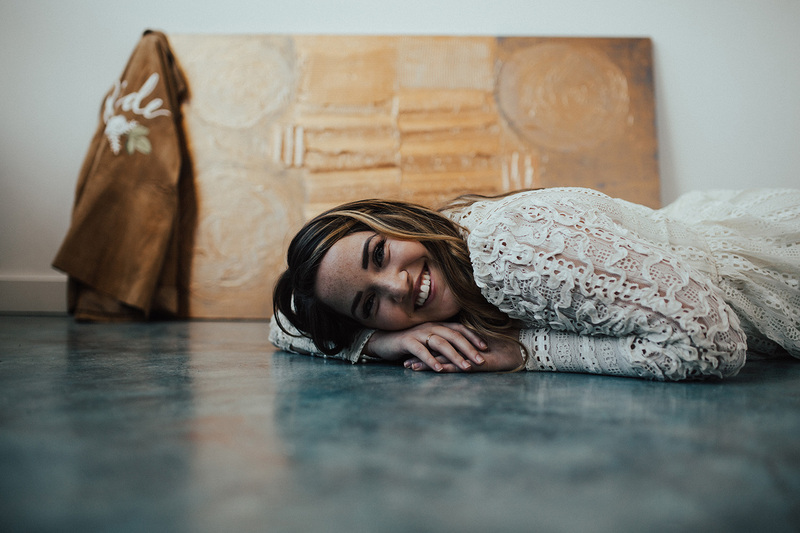 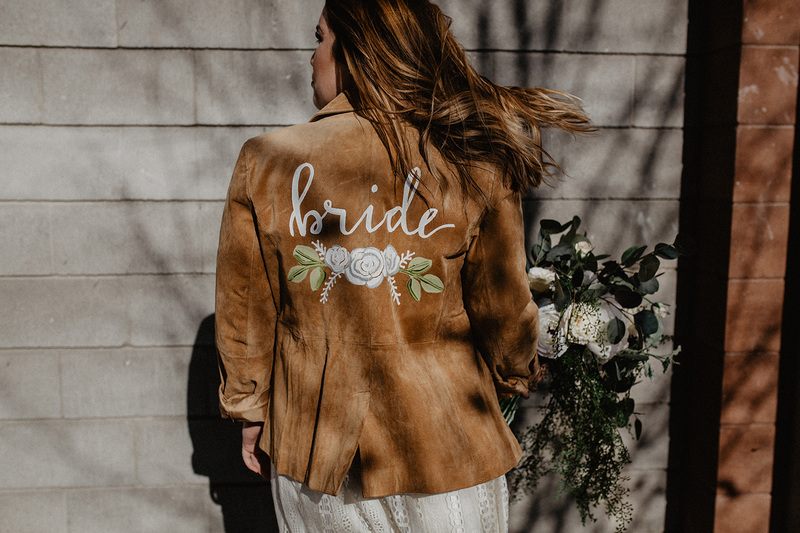 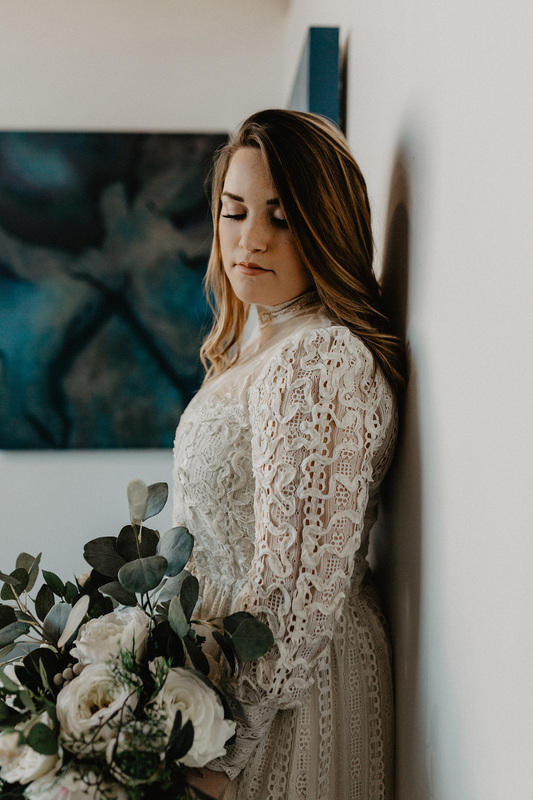 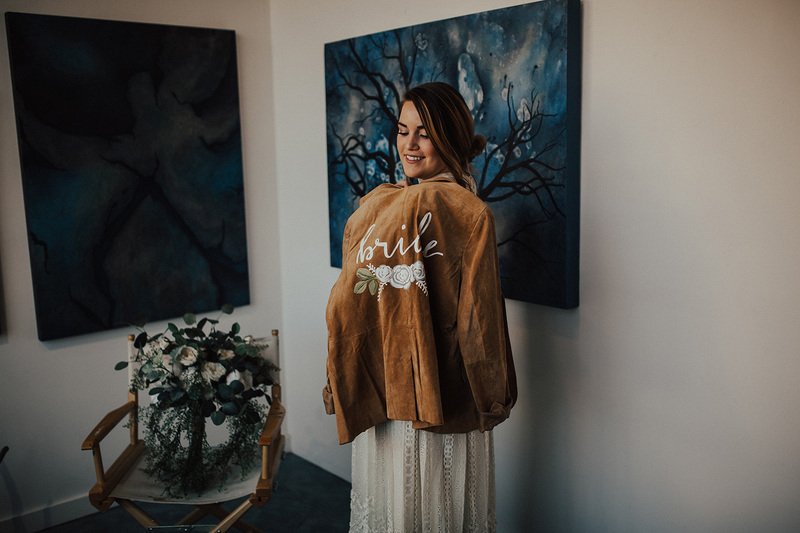 Check out these Urban art gallery bridals and leave some love below! 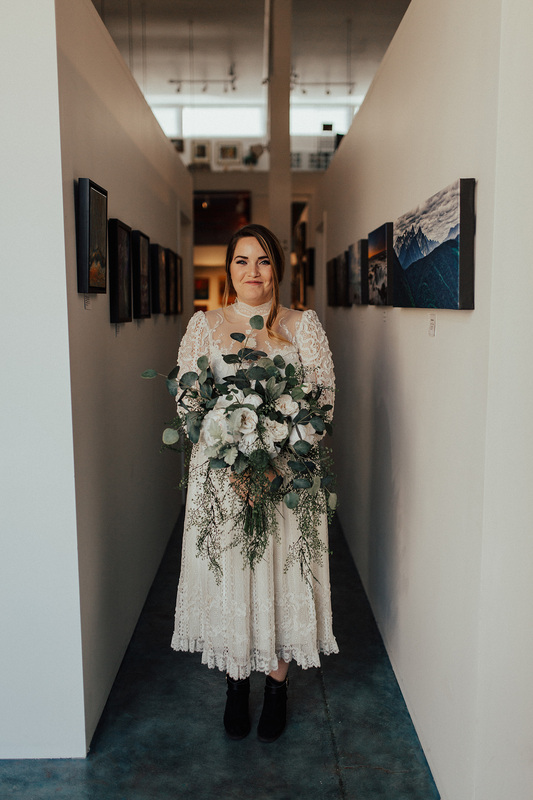 Looking for a Vancouver wedding photographer? 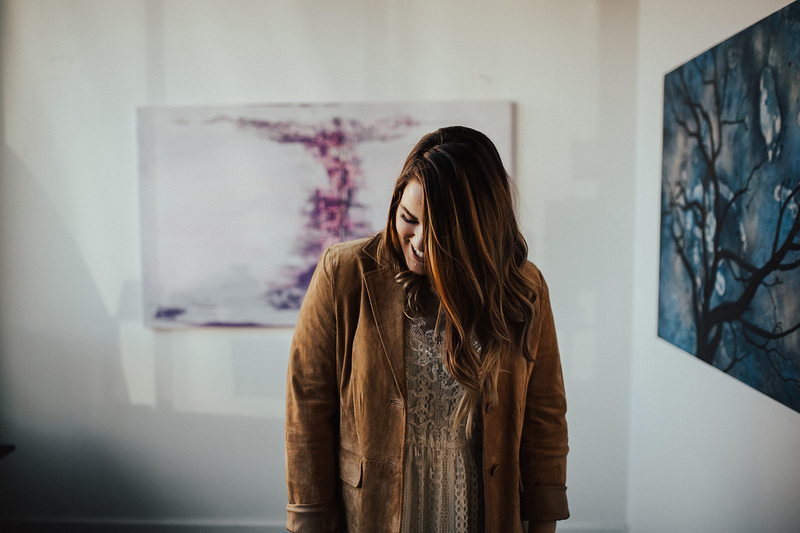 I would love to chat here!